← Mileage Re-Cap: TAPER TIME! 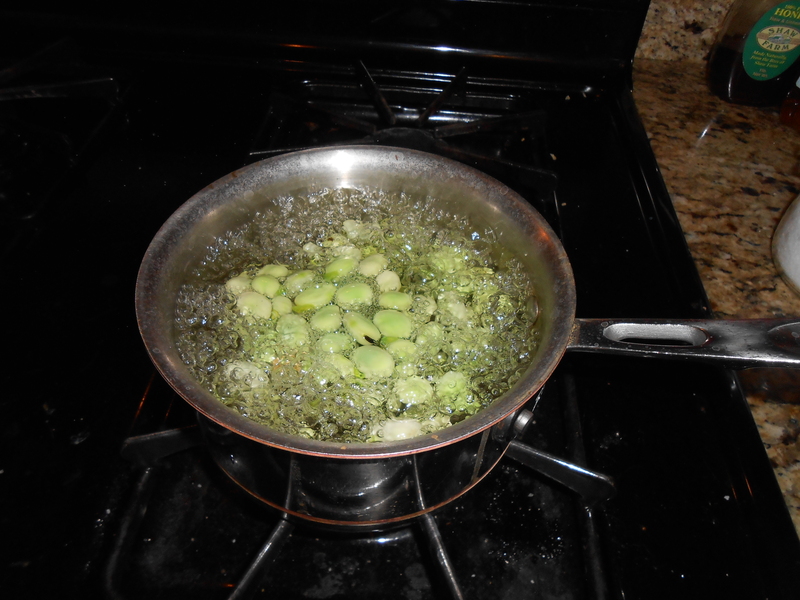 Mike here – A great way to impress a lady is to cook something that you normally wouldn’t make at home. 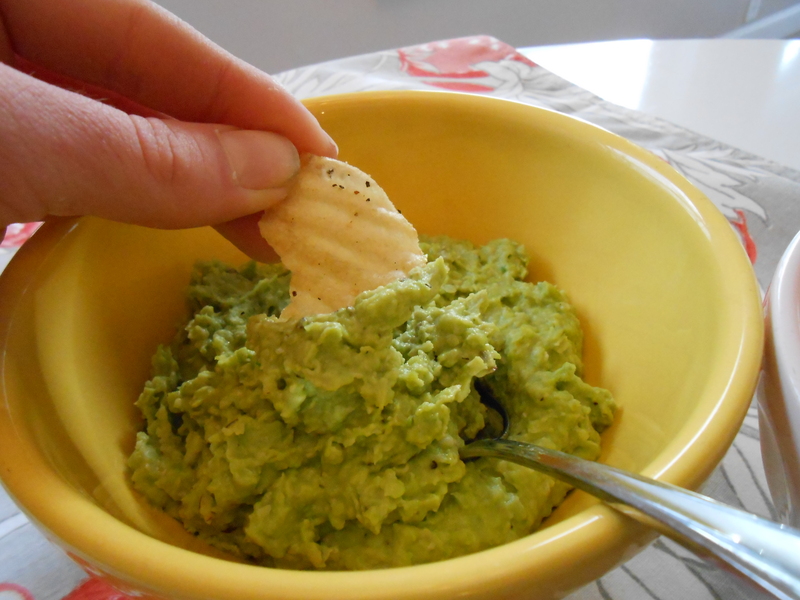 Here’s an appetizer/first course that is easy to make, looks and tastes fancy, and she probably hasn’t had it before. 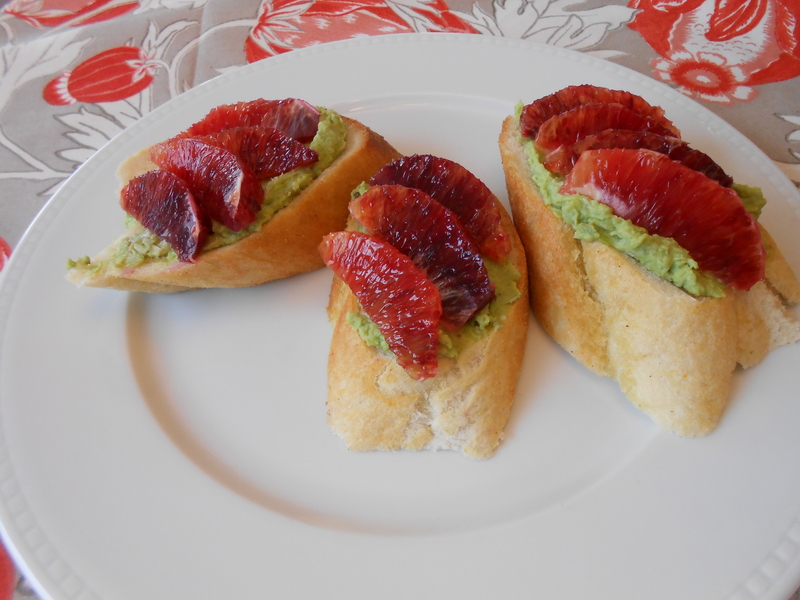 Fava bean “hummus” with blood orange, on homemade french bread. Who doesn’t love a fresh homemade load of bread? Ladies love French things, or things that sound French, or things with the word French in their names. (Sorry for the generalization, but I have yet to meet a female Francophobe) So French bread it is. 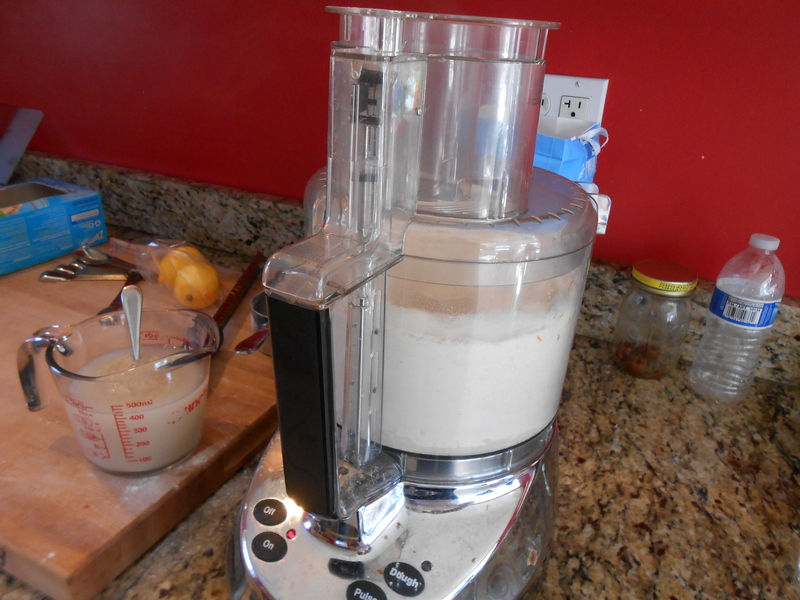 This one gets made in the food processor, so it’s as hands-off as a baguette can be. Mix a 1/4 oz package of yeast with 1 2/3 cups warm water. 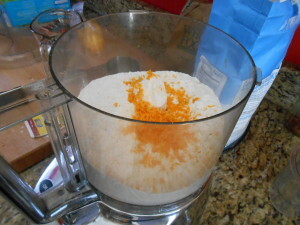 Put 4 cups of flour, 1 teaspoon white vinegar, 1.5 teaspoons salt, and zest of one orange into the bowl of the food processor and turn it on. Pour the yeast-water mixture in while it is running. 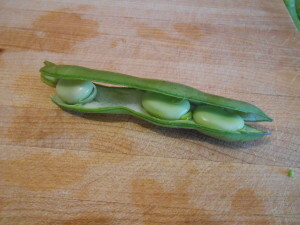 The orange zest isn’t required, but goes really nicely with the fava bean and blood orange. 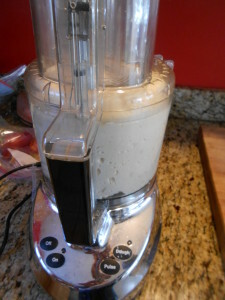 The dough will come together into a thick ball and it will seem like the food processor is having a hard time. I’ll be honest and say that I never did look in the manual (or Google) to see what the ‘dough’ button does, but I pressed it and it seemed to help. Let the food processor slap the dough around the sides of the bowl for about a minute, then turn it off. 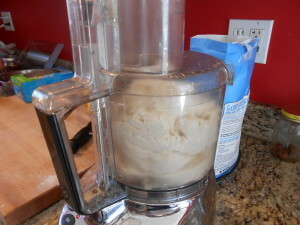 Leave the dough alone until it rises to fill the bowl, about 1 to 2 hours depending on how warm it is in the room. 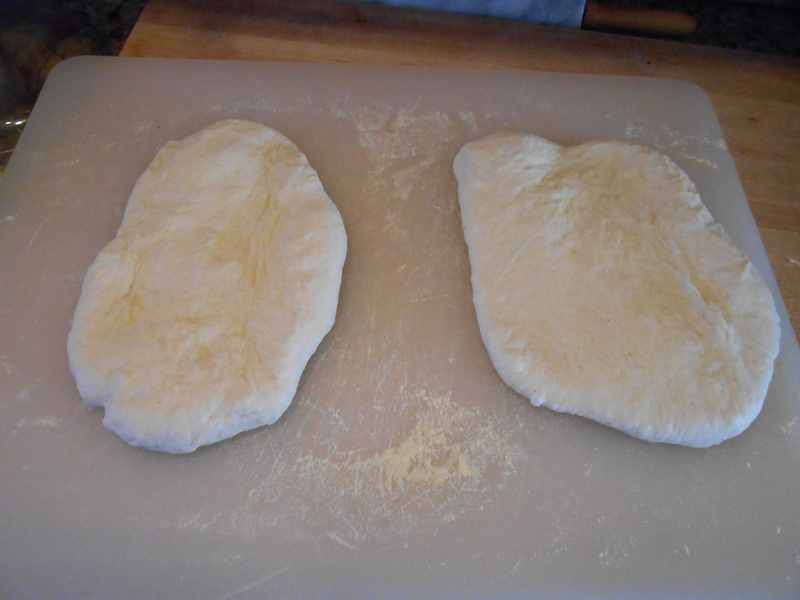 Take out the risen dough, and do your best to divide it in half. I did a terrible job of making equal halves, so you don’t have to be too accurate. The dough is very sticky – dust a cutting board with cornmeal (flour works too, but seems to alter the texture of the crust). Roll the dough out into the best 8×10 rectangle you can make (ovals apparently work too). 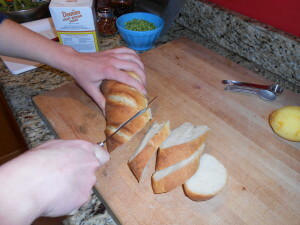 Then roll up the rectangles into a log and put them seam-down into a french bread loaf pan. If you don’t have a french bread loaf pan, improvise – you basically need a long metal trough. So you could roll a few layers of aluminum foil around a pipe and prop them up with something ovenproof, or you could bend some sheet steel – just don’t get too fancy because a french bread pan is cheap and you might as well just order one online. 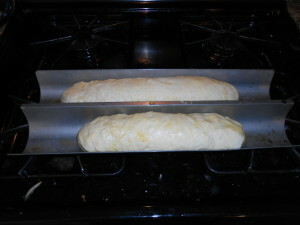 Let the loaves rise in the pan for about a half hour. Meanwhile, preheat the oven to 450. Put an inch of water in a roasting pan and place it in the oven while preheating. This will make steam to help develop a nice crust. Right before putting the bread in the oven, make 4 diagonal slits in the dough with something very sharp like a brand new single-edge razor. 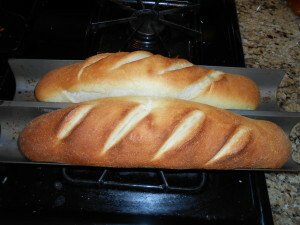 Bake the bread for 30 minutes on a rack in the upper third of the oven. If they are not already golden brown and crusty, take the loaves out of the pan, remove the water from the oven, and bake them upside down for about 5 minutes more. Put on a rack and let cool. If it looks enough like real French bread, be sure to save a loaf intact to show it off. 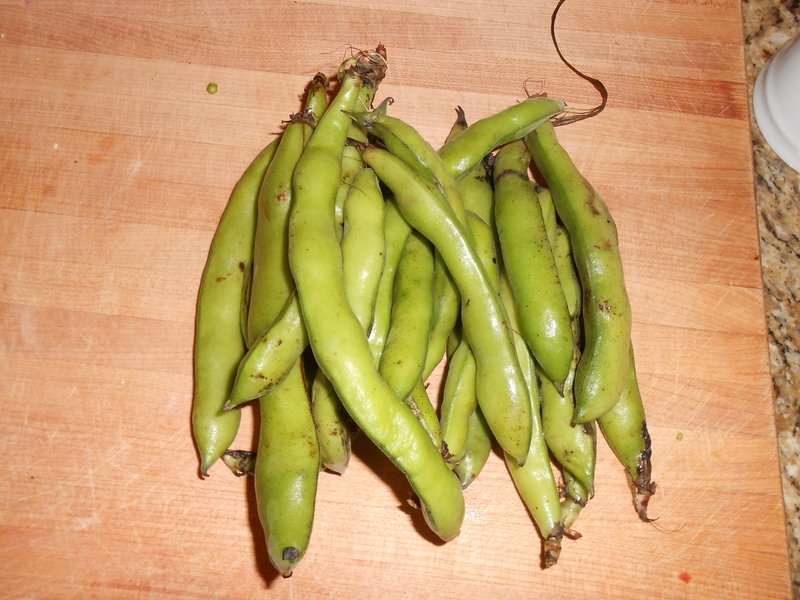 If you’re the type who’s only ever had fava beans with liver and a nice Chianti, you’re in for a treat. 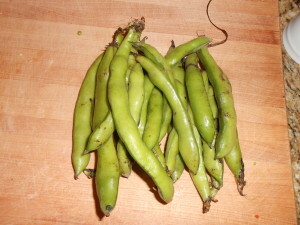 Around this time of year, fava beans are available fresh in their pods. You can buy fresh favas and shell them, but I’ve also made this with frozen fava beans and frozen lima beans and it turned out fine. 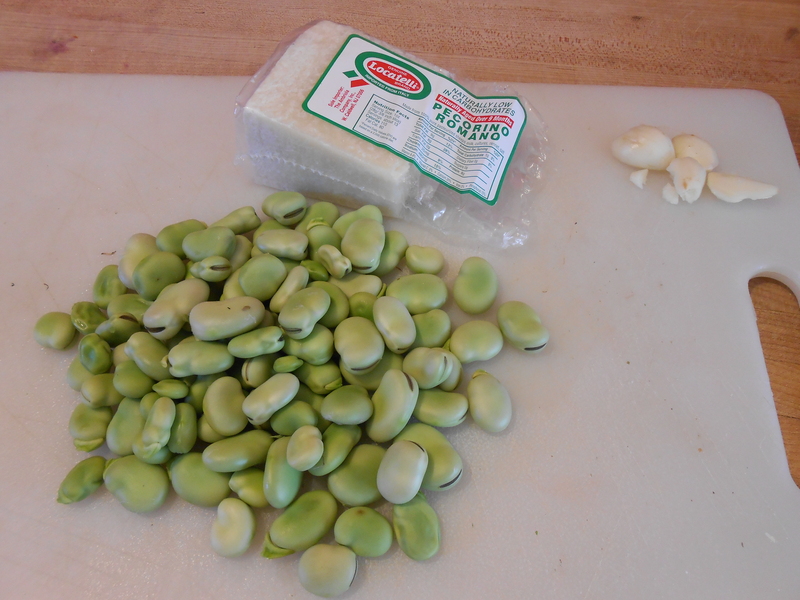 You’ll need a generous cup of beans, some pecorino romano, olive oil, lemon, and a couple cloves of garlic. 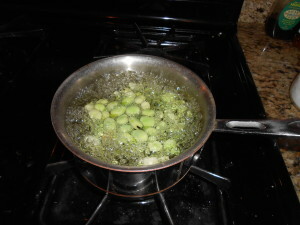 Boil the beans for about 4 to 5 minutes so they cook and get softer. Drain the beans, put them into a food processor with a handful of grated pecorino, the garlic, and some pepper. 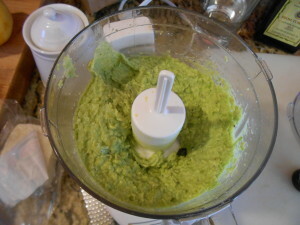 Process until smooth, adding a tablespoon or two of olive oil while the motor is running to help it smooth out. Taste for seasoning – if it needs salt, it could probably just benefit from more cheese, which is salty on its own. Give it a squirt of lemon juice – about a teaspoon. Pulse and taste again – flavor should be a lit brighter, but not tart or lemony. Slice the bread. If you’ve got a loaf from the store, or anything less than just-baked-fresh, you’ll be better off brushing it with a little olive oil and toasting it. 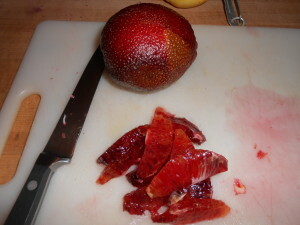 Segment the blood orange. It looks the nicest if you supreme the orange, which is the fancy way of saying that you cut the rind off and cut the segments out with a knife. 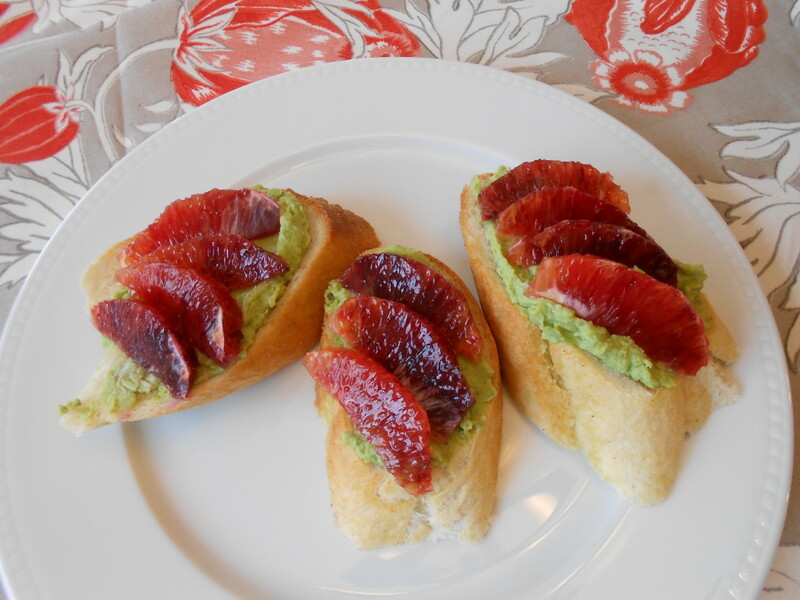 Spread some of the fava bean hummus onto the baguette slices, top with a few segments of blood orange. The color contrast of red and green makes it look special. Show it off, then eat! 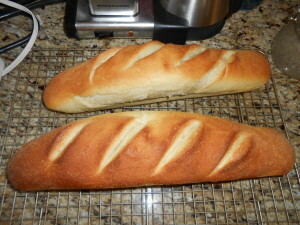 Then eat the rest of the baguette with butter while it’s still super fresh. Leftover fava bean hummus? Eat it with potato chips! I guarantee she’ll be impressed if you make this. If it all sounds like too much work – and it’s not – you could always just get her two tickets to the gun show instead. But let’s face it – that only works the first few times. 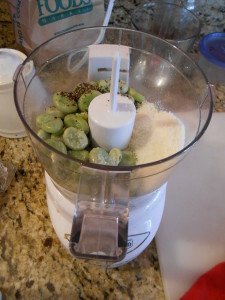 This entry was posted in Cooking, Guest Posts. Bookmark the permalink. haha! Mike is really good in the kitchen- but when left alone he basically eats whatever he sees. With hot sauce, of course!